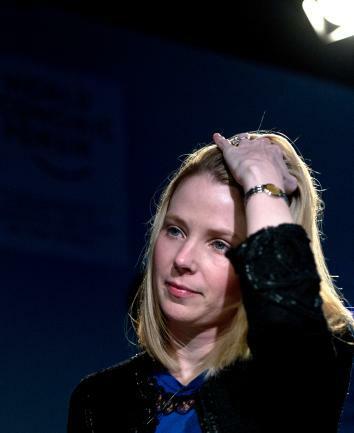 Yahoo Mail: Could outages, redesign cost Marissa Mayer her most loyal users? Marissa Mayer has engineered a remarkable turnaround, but she risks losing Yahoo’s most loyal users. Rarely has a new CEO turned a floundering company more quickly and thoroughly than Marissa Mayer has turned around Yahoo. But if she’s not careful, her valiant efforts to resuscitate the company’s corporate culture, rejuvenate its products, and refresh its image could be largely undone by a mass exodus of the company’s oldest and most loyal users: the more than 100 million people per day who use Yahoo Mail. The first misstep came when Mayer and co. alienated a large proportion of those users with a redesign that made the service almost indistinguishable from its biggest rival, Gmail. I wrote a short post about the complaints in October and was overwhelmed by the response: Rarely have I gotten so many emails on anything I’ve published. Yahoo Mail users wrote in by the dozens to thank me for the post, vent their frustrations, and ask whether there was anything they could do, anything at all, to get Yahoo to change their mail service back to the way it was before. Many sounded like they were at wit’s end. Meanwhile, Yahoo’s user forums for feedback on the changes overflowed with complaints to the point that, according to ZDNet’s Violet Blue, Yahoo eventually shut them all down, stamping “completed” on each thread. One thread, titled “Please Bring Back Tabs,” had more than 100,000 upvotes and 10,000 comments at last count. Yahoo Mail users are not, by and large, a young and tech-savvy crowd. (This is not a criticism, just an observation.) They use Yahoo Mail because they’ve used it for years and it has served an important function in their lives. They don’t care whether their webmail client wins design awards. They care whether it works. And it always had—until now. Some reports and downtime sites show multi-day outages over the course of many days, while others show shorter times. The complaints have most certainly been mounting for weeks. What is consistent are two things: Outages have been occurring regularly and Yahoo has been woefully negligent in informing its users about the problems. Yahoo seems to have finally gotten the message that this is a big deal. The spokeswoman replied promptly and informatively when I emailed about it. But Yahoo Mail users could hardly be blamed for suspecting that the company’s leaders don’t really care about them anymore—or even respect them. AllThingsD’s Swisher reported on Wednesday that the man in charge of Yahoo Mail, Jeff Bonforte, joked at an employee meeting last month that while users might be dissatisfied, the company would have to “‘kick the users hard’ in a certain body part” to get them to leave. Well, it hasn’t done that physically, but it has metaphorically. And while a lot of longtime Yahoo Mail users may not belong to the hip demographic that Yahoo is pursuing with acquisitions like Tumblr and the relaunch of Flickr, they may be more crucial to the company’s fortunes than Mayer and her team would like to believe. I’d wager that many of these are the same people who also use services like Yahoo News, Yahoo Sports, and Yahoo Groups rather than using Google as their main portal to various sites around the Web. If they go, Yahoo might just go with them—before Mayer ever has a chance to win over the new users she sees as crucial to the company’s long-term future. As a certain aging, un-hip rocker might say: If you can’t win the demographic you love, you’d better love the demographic you’ve got.